You may have seen these brilliant photos of alcohol underneath the microscope before, they’re produced by a company called Bevshots who has produced a fantastic series of artistic photos showing off different types of booze under the microscope at the Florida State University’s chemistry labs. 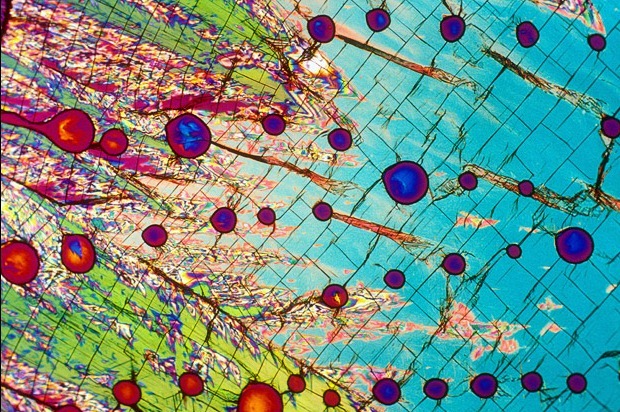 How Can Alcohol Be Photographed Under A Microscope? The process is quite complicated (for an art project). Essentially, a droplet of liquor is allowed to dry out completely on a slide in an airtight container, and the results are then photographed with a 35mm camera. The entire process can take up to three months and sometimes as many as 200 (!!) attempts to properly capture the alcohol drink’s constituent parts. Cocktails can have fruit and soft drinks in them which contain citric acids and complex sugars, both of which dry out really well and look great when photographed. The incredible shapes and colours of Bevshots boozy artwork are highlighted by shining natural light on top and through the bottom of the slide. Just like an image of a snowflake, each drink turns out different. These images are available for sale at Bevshots. Online since August 2009, Bevshots say that they have sold over 20,000 examples of their alcohol-based art. ← What Causes Asian Flush After Drinking Alcohol & Is There a Cure?